Sarah (?) married William Houghton. William Houghton married Minerva (?) in circa 1879 mar 21 years in 1900 census. Minerva (?) married William Houghton in circa 1879 mar 21 years in 1900 census. Edward Houghton married Bobbie (?) in circa 1909 mar 1 y in 1910 census. 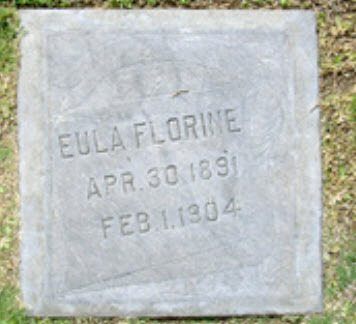 Birth Dec 2, 1860 Sulpher Bluff, Hopkins Co., TX, USA, age 10 in 1870 census; age 19 in 1880 census; Dec. 1860, age 39 in 1900 census; age 49 in 1910 census; age 59 in 1920 census; age 69 in 1930 census; age 79 in 1940 census; CA Pioneers: 29 Aug.
Alonzo Oliver Houghton married Mary Ollie Day in Jun 3, 1888 at Downey, Los Angeles Co., CA, USA. 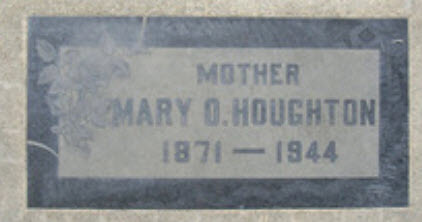 Mary Ollie Day married Alonzo Oliver Houghton, son of James Daniel Houghton and Nancy Elizabeth Hastings, in Jun 3, 1888 at Downey, Los Angeles Co., CA, USA. Myrtle Oris Houghton married Otis D. Ball. Lena Lillian Houghton married Forest W. Granger. Alta Juanita Houghton married William A. Wilhoite. Arthur G. Houghton married Eria Brown in circa 1890 mar 10 years in 1900 census. Eria Brown married Arthur G. Houghton in circa 1890 mar 10 years in 1900 census. Harriet E. Nesbitt married Herbert E. Houghton, son of Solon W. Houghton and Eveline Goldsmith, in circa 1890 mar 10 years in 1900 census. Herbert E. Houghton married Harriet E. Nesbitt, daughter of James Shaw Nesbitt, in circa 1890 mar 10 years in 1900 census.